The Panasonic Lumix DC-G9 mirrorless system camera is the brand’s highest-end stills-oriented camera and sits at the top of the product lineup. Aimed at advanced amateurs and professionals, it offers some interesting features that set it apart from the competition. The body of the DC-G9 is well-built. It is made from magnesium alloy and is sealed and protected against splashes, dust and the cold. 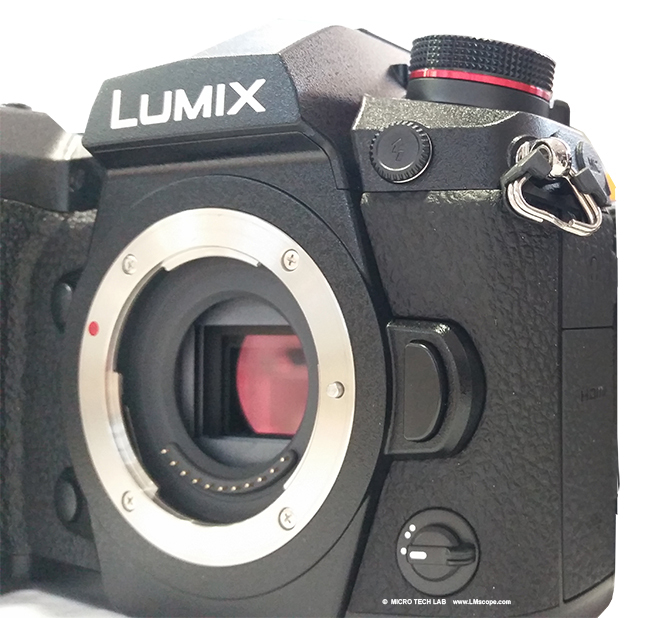 Using our LM adapter solutions which feature a plan-achromatic optical system, it can be stably attached to almost any type of microscope via the regular Panasonic micro four-thirds connection, even though is quite heavy (658 grams body only). The DC-G9 has a comprehensive array of navigation features: menu dial, various buttons, joystick, 3" fully articulating touchscreen display and an additional LCD display screen on the top of the body. The CMOS sensor without low-pass filter delivers 20.8 MP – somewhat less than, for example, the significantly lower priced and smaller Canon EOS M50, which delivers 24 MP. There is also a high resolution mode that produces images that measure up to a total of 80 megapixels. These images are created by the camera shifting the sensor as it shoots several images, which are then combined into a single, high-resolution image. With the native sensor resolution, the camera shoots twelve continuous frames per second. Despite its emphasis on stills capture, the DC-G9 can record in Ultra HD (4K) format. 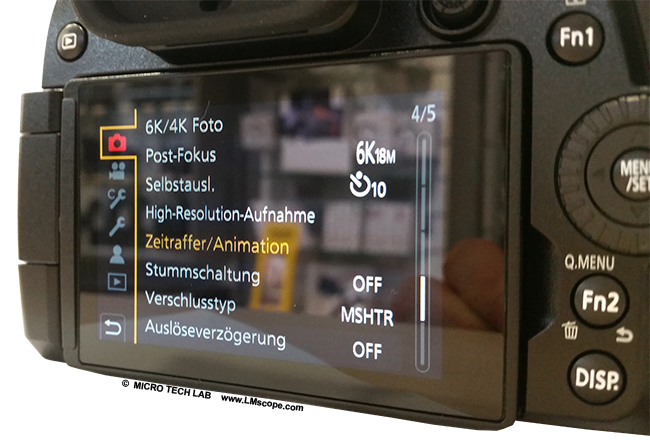 In terms of ISO sensitivity, the DC-G9 ranks in the middle range. Although a maximum ISO setting of 25,600 is usually sufficient, low-light imaging techniques (such as fluorescence microscopy) often benefit from a higher ISO setting. The camera’s shutter offers speeds between 1/8000 and 60 seconds, and it also includes a bulb mode for longer exposures than the camera settings allow for. The possibility of controlling the camera remotely from a PC or Mac is particularly important for scientific work in laboratory or studio settings. With the Lumix tethering software, which is included for free with the camera, the DC-G9 can be connected to a PC or Mac via USB cable so you can see the images from your shoot live on the screen as you’re shooting. This is very helpful if the camera is permanently attached to the microscope. An even more convenient way is to connect the camera to the PC/Mac via Wi-Fi. 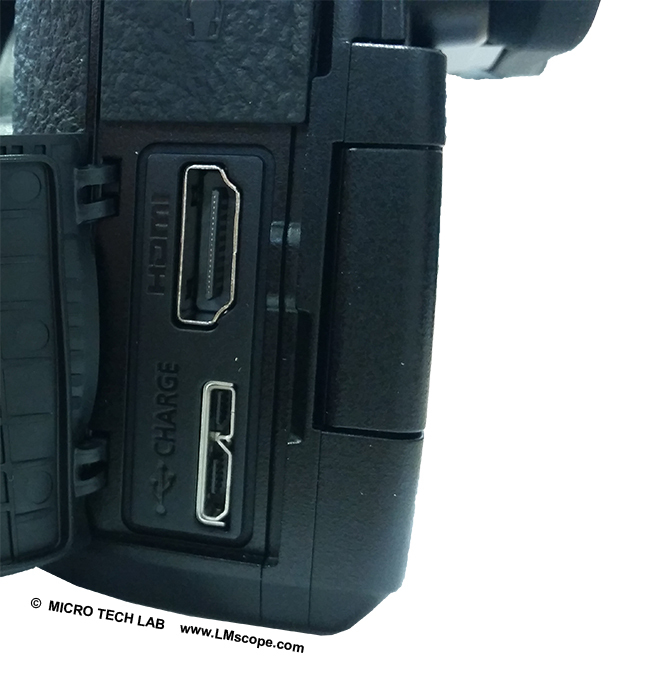 HDMI and Bluetooth can also be used to communicate between the camera and an external device. Another bonus of tethering the camera to a computer or Mac is that this enables recharging or keeping the camera on a continuous power supply while working on the microscope. 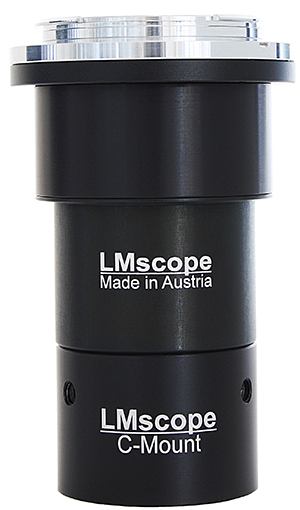 With our LM microscope adapters, the camera can be stably attached to almost any type of microscope in a few simple steps. 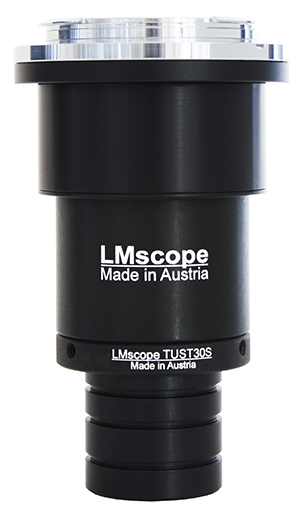 In a professional setting, cameras are mostly mounted to the phototube of the microscope. However, it is also possible to use the eyepiece tube to install a camera unit. 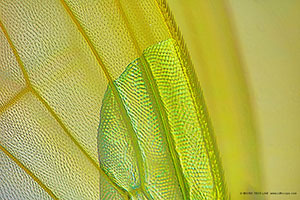 Conclusion: Despite its hefty price of around EUR 1,700, the Panasonic Lumix DC-G9 is a good option for use with a microscope. The well thought-out feature set, the multitude of settings available and the 80 megapixel high resolution mode offer great versatility for professional use. If you’re more video focused, you should consider the DC-G9’s sibling, the GH5S. In this upper-range price segment, it is also certainly worth taking a look at the full-frame cameras of the Sony Alpha series.